The best gifts are unique, meaningful and have a story behind them. But how to find such things? How about from a place that is itself unique and where local artisans bring in the bounty of the land and create something beautiful? 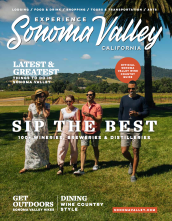 Don&apos;t just give any gift - give the gift of Sonoma. 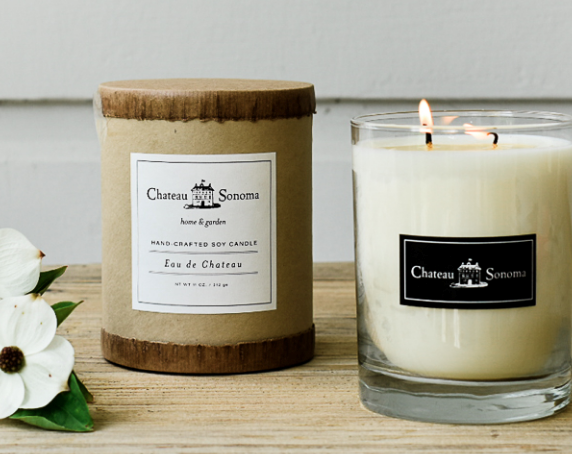 The signature scented Chateau Sonoma candle is the best fragrance around and everyone who experiences it, loves it. And you can only buy it at Chateau Sonoma. Makes a great hostess gift. If you are looking for artisans crafting in the back what they are selling in the front, look no further than Large Leather on the Sonoma Plaza. 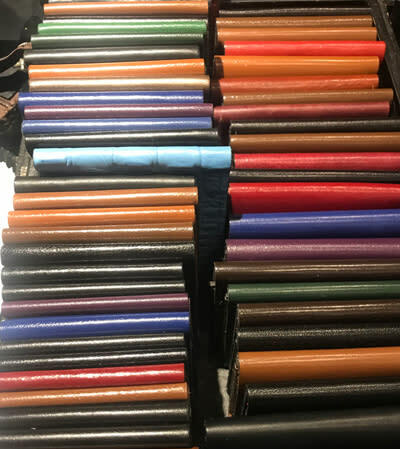 In the small storefront, wife and husband team of Jessica Zoutendijk and Paul Terwilliger make all their own leather goods and are always ready to help you find what you need. They make their own belts, purses, backpacks, wallets, passport holders, and all manner of leather goods. Big surprises, tiny shop, Large Leather. 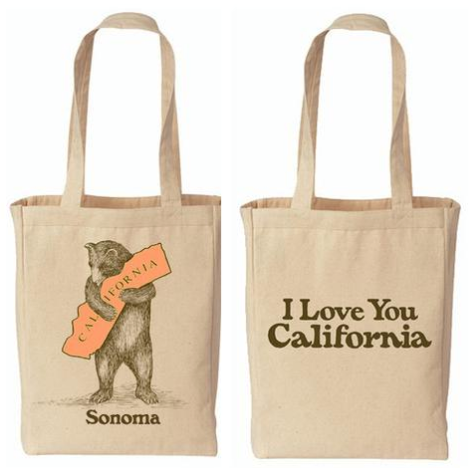 Show your California love with these super cute custom-made Sonoma Bear Totes. Respect the environment by ditching those plastic bags while showing the world how you feel about The Golden State. You can fill the bag with handfuls of the novelty candies from your childhood also for sale here, making it a sweet gift that lasts. Put the country back in Wine Country. 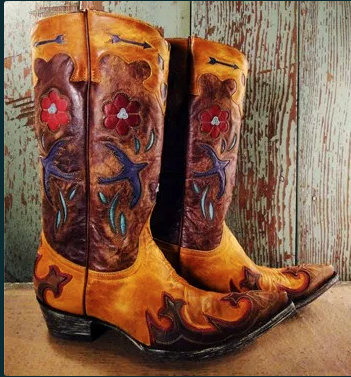 We know your crazy cousin Carla needs some funky boots (hundreds of vintage pairs available), and your favorite uncle would love another authentic Hawaiian shirt. Find it at Lonesome Cowboy Ranch, the eclectic store with a little bit of everything in the creative ‘burg of Boyes Hot Springs. Plus, spending an hour in here shopping and chatting with the sweet owners is pure entertainment. Giddy-up! Who knew that they also grow olives in Wine Country? 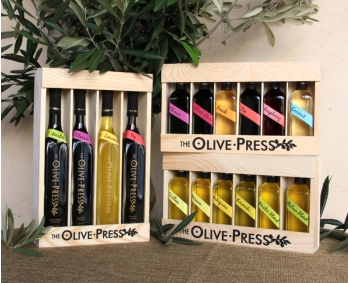 Well, you do, because the gift set you found at The Olive Press is made from olive trees grown within a pits-throw from the tasting room and retail store where you can find olive oils, tapenades, vinegars and all types of spices and rubs for the pantry. Perfect for that one person that’s hard to buy for, because everyone has to eat. Gifts don’t have to be things – they can also be experiences. And a Sonoma International Film Festival experience is a great gift indeed. The Film Festival Stocking Stuffer is a package that includes any four Festival films, backlot Day Pass, Sonoma Cheese Factory sandwich, and glass of wine. An $80 value for a $50 price. Plus, your giftee gets the chance to experience Sonoma in spring when the wildflowers are blooming and the arts scene is too.